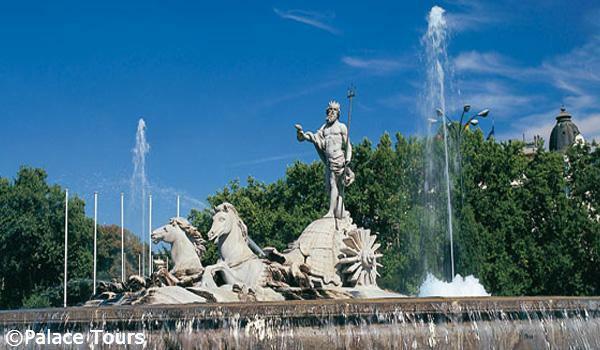 Embark on an exciting journey across the North of Spain with an 8 day tour that is positively overflowing with culture. Departing from and ending in Madrid, this trip features panoramic tours of Bilbao, Gijon, and Lugo, a visit to the Plaza del Obradoiro (pictured to the left), and a chance to soak up the splendor of La Toja Island, ria de Arosa, and Pontevedra. Personalize your trip with optional excursions to Santa Tecla and Valenca do Mino. Savory breakfasts and delectable dinners are included throughout the tour. Departure from our bus Terminal at 8:00 a.m. to Zaragoza. Short stop. Continue to San Sebastian. Dinner and overnight in San Sebastian. Breakfast. Departure to Bilbao. Short panoramic tour to admire the Guggenheim Museum building. Continuation to Santillana del Mar, city considered as a National Monument. Short stop and continue to Santander. Dinner and overnight in Santander. Breakfast. Departure through Picos de Europa mountains through splendid landscapes. Arrival to Covadonga with free time to visit the Shrine and continuation to Oviedo. Dinner and overnight in Oviedo. Breakfast. Departure to Gijon, the second capital of the region of Asturias. Short panoramic tour and continuation through the areas of Luarca, Ribadeo and Lugo in the Region of Galicia. Dinner and overnight in Lugo. Breakfast. Departure to La Coruña. Short panoramic tour. In the afternoon, there is an optional excursion to the Rías Altas through typical villages as Pontedeume, Betanzos, etc. Dinner and overnight in La Coruña. Breakfast. Departure to Santiago de Compostela. City tour of this legendary pilgrimage town, Plaza del Obradoiro, Cathedral, etc. Afternoon at leisure (Free Time). Dinner and overnight in Santiago de Compostela. 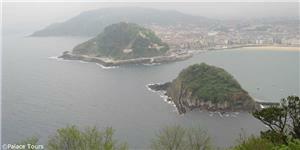 Breakfast and departure for the area of the Spanish Fjords (Rias Bajas), through splendid landscapes: La Toja Island, ría de Arosa and Pontevedra. Optional excursion to Santa Tecla and Valença do Miño across the Portuguese border. Continue your trip to Vigo. Dinner and overnight in Vigo. Arrival and end of the services. Return transport of the type, characteristics and class selected. Rates and Taxes for the establishments providing accommodation and indirect taxes (VAT) where applicable. Visits to cities are of a "panoramic" nature, with stops made at places considered to be of interest. i) 5% of the trip price if it is produced between 10 and 15 days before the departure. ii) 15% of the trip price, if it occurs from 10 to 3 days prior to the departure. iii) 25% of the trip price, if it occurs within 48 hours prior to the departure.